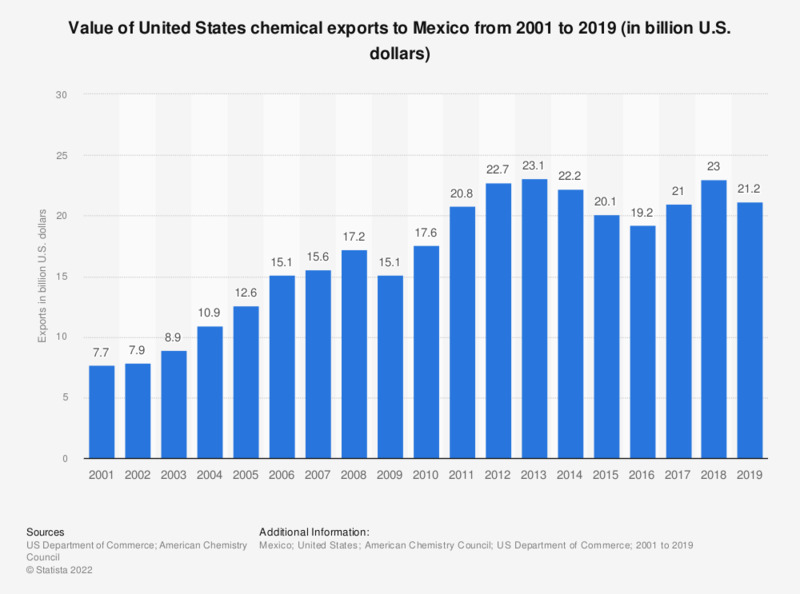 This statistic depicts the value of chemical exports from the United States to Mexico from 2001 to 2017. In 2017, U.S. chemical products exported to Mexico were worth approximately 21 billion U.S. dollars. *Information in the 2018 edition of the report no longer includes pharmaceutical data in the figures.